Open the version history to access the list of old versions and click "Restore". Restoring a version will take the version you are restoring and promote it to the latest version of the file. In the picture above, one can see that Roger, while viewing V3, restored V2. This created V4 as a copy of V2. You and your team will see the update on the Desktop App and download V4. This is done so that V3 is not lost from the version history, so your team can always go back to it. First, find the event where the file was deleted in the updates feed. 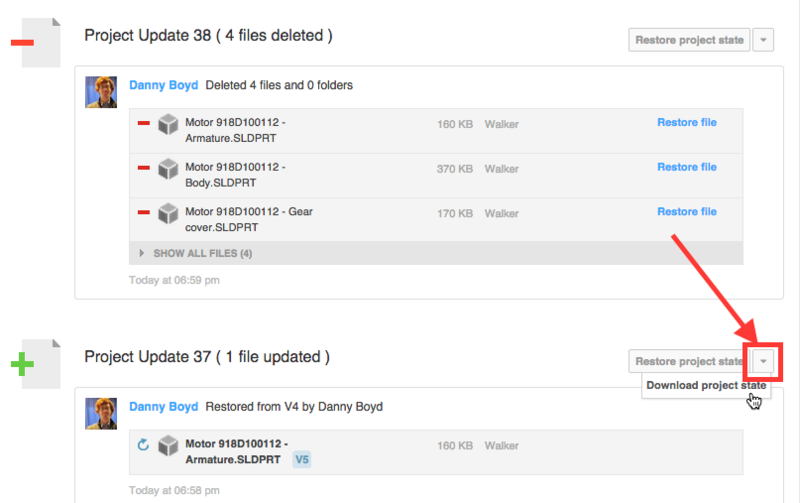 Then click "Restore File"
As you can see above, V2 represents the delete action, and V3 is the restored copy of V1. You and your teammates will download the update to the file as a new version. Go to the assembly file and navigate to the older version using the Version History. Then under File Options, download the assembly and components This will create a .ZIP archive of the older version assembly, along with the older version component files that relate to that assembly version. You will then need to upload the assembly and its components to your Workbench project so that your project contains the restored version of your assembly and components. 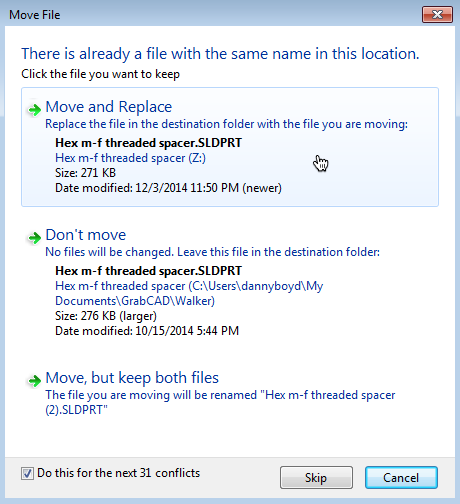 In order to recover an older version of an assembly and it's components when items have been deleted, you must download the project state and add the desired files back to your linked project folder. Once you locate the desired files, add them to your linked project folder, replacing the old versions as above. 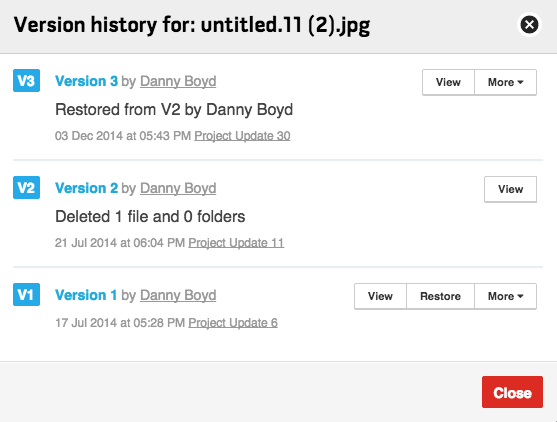 To get the whole project back to a previous state, use the "Restore project state button" in the updates feed. Choose the update that includes that last change you want to keep. For instance in the screen shot above, the file that Roger uploaded in Project Update 23 will be included in the restore action. Restore will only revert individual files back to their state at the desired time. It will not revert any changes to User roles or project settings, nor will it delete any comments added.